With winter greeting NYC ever so gingerly, the holiday season has swept into Pacha NYC in the same sense. Although the mega-club will be closing its doors for good next month, Pacha has not wavered in its goal to keep the city dancing into 2016. Celebrating the 10-year anniversary, Pacha has a fan-favorite returning to the booth. A trance titan who has been dominating dance floors for more than a decade is coming for the festivities to cap out the year. Markus Schulz aka “the unicorn slayer” will play a notorious open-to-close DJ set for the New York faithful on Saturday, December 26, 2016. Elemental sounds that trance fans have become accustomed to hearing from the talented force—along with his signature marathon sets—are what differentiate Markus from the rest. The “Schulz Army,” as they’ve come to be called, has packed out venues worldwide to witness intense late night trips down the rabbit hole. 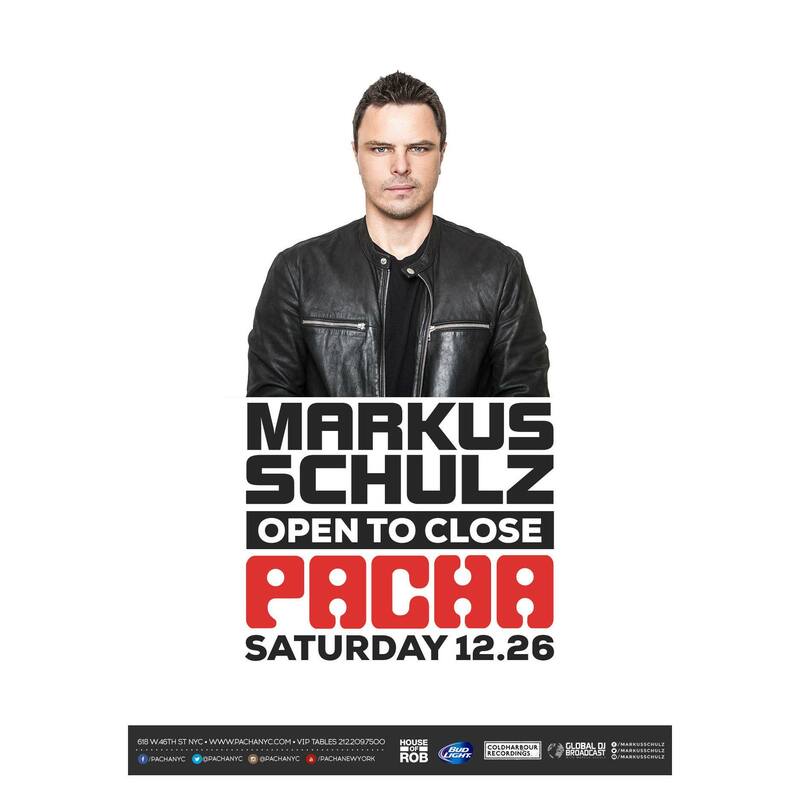 Join us for the final trance performance Pacha NYC has to offer. *Contest ends on Thurs., Dec 24 at 9 pm.